These gorgeous pieces are brought to you straight from Italy. The Phedra Table and Bookcase make a great pair. 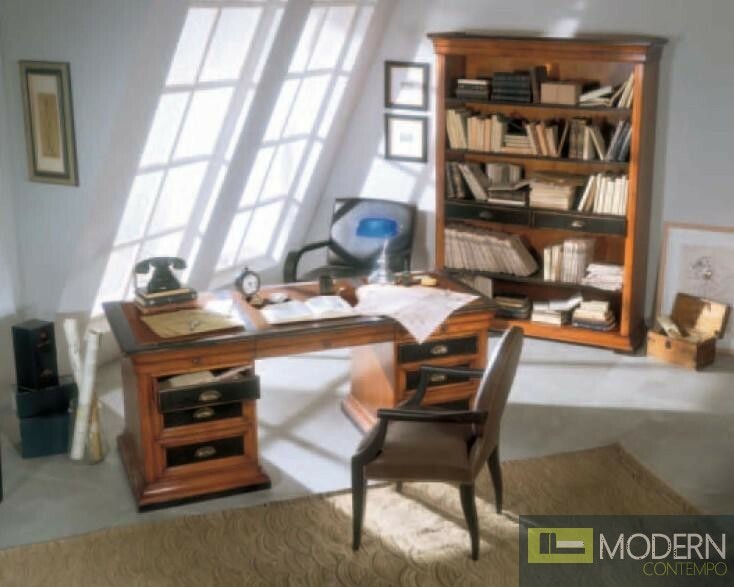 Both the desk and bookcase are constructed of lightly colored walnut hardwood and have black accents.